A new tablet with amazing features and specs, now released to the market and packed with full entertainment features such as TV streaming, HDMI mini port for large screen viewing, an 8inch display covered with Asahi scratch resistant glass. 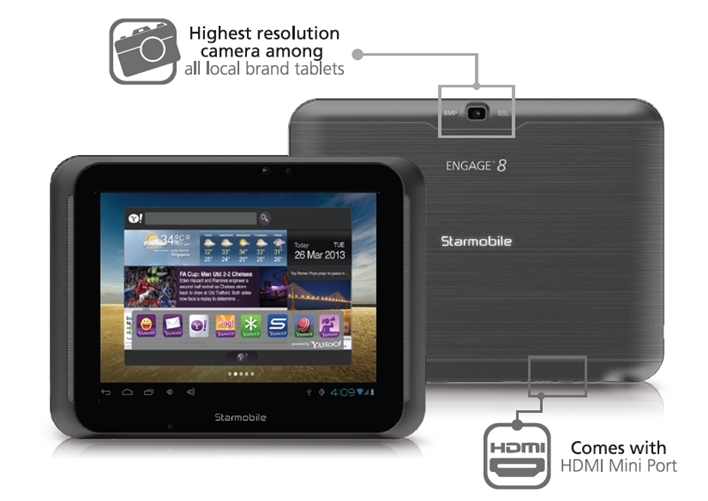 Starmobile Engage 8 was also noted to have the highest resolution camera among all local brand tablets, why? It has an 8MP back camera, sadly no led flash which is very common in tablets, while front camera quality is 2MP. Processor is 1.5Ghz Dual Core which is already powerful if you ask me, another top notch of Starmobile Engage 8 is the battery with long lasting 5000mAh capacity, all this at the price of Php6,490 SRP. 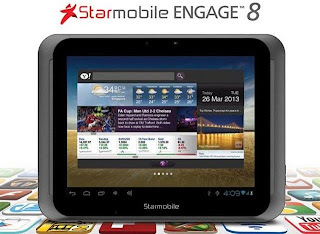 Starmobile Engage 8 tablet again is priced at Php6,490 | Available now at Starmobile stores nationwide, though is will not be readily available in some part of the country, expect a delay specially in province areas. If you have this tablet, kindly share your experience with us and thank you for that! 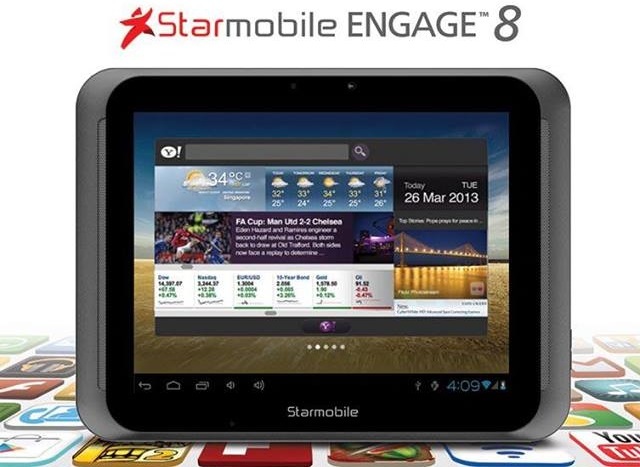 where can we buy starmobile engage8 right now?san po may available ngaun?